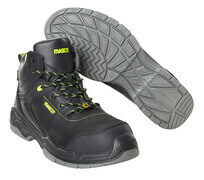 Safety footwear is not just footwear. 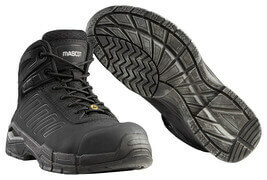 It is a necessity to secure you against potential accidents at the workplace. 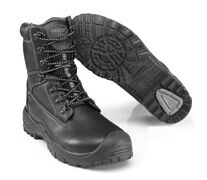 At the same time, your footwear must be able to cope with the pressure in extreme environments and still be ultimately comfortable. 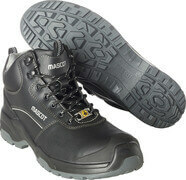 At MASCOT, you will find a wide selection of both safety shoes, safety boots and safety sandals that all comply with the requirements. 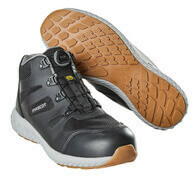 In the assortment, you will find products with different features and details. 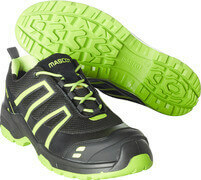 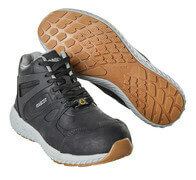 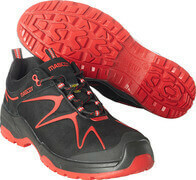 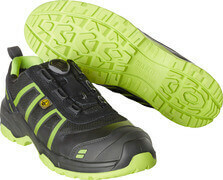 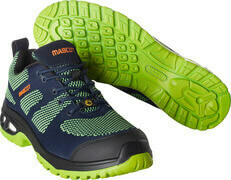 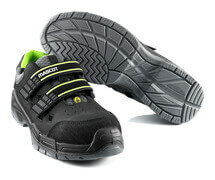 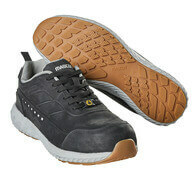 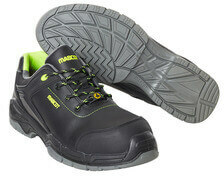 MASCOT offers shoes from several ranges that are suitable for many different industries. 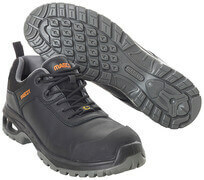 Furthermore, all footwear in the assortment is certified according to EN ISO 20345, which is a certification dedicated to safety footwear, and ensures that the products meet the highest requirements regarding safety within occupational footwear. 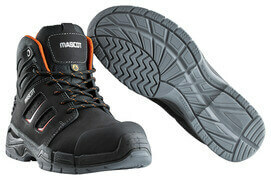 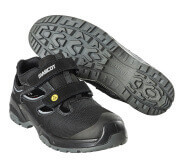 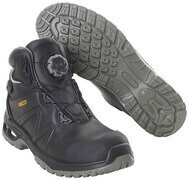 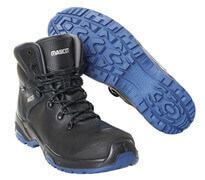 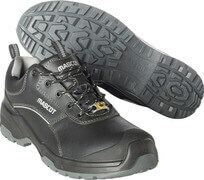 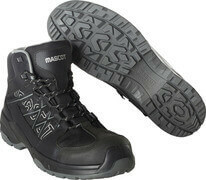 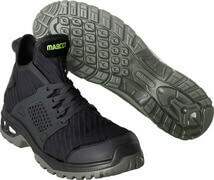 At MASCOT, we offer safety footwear of the safety classes S3 and S1P, both of which have midsole protection and toe caps. 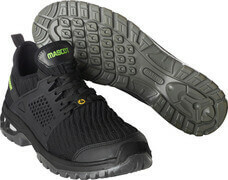 At MASCOT, it is important to follow the trends and be at the forefront when it comes to innovation. 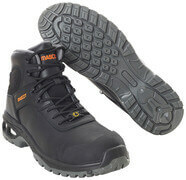 As an example, you can find products with Boa® closure in the assortment of safety footwear. 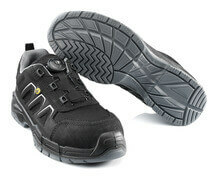 This specific detail has replaced the laces with a smart knob that makes the shoe easy to close with just one hand. 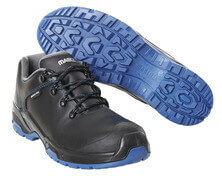 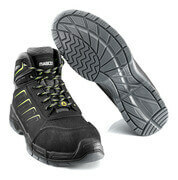 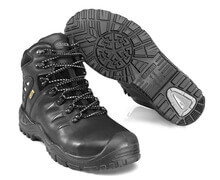 If you are more into the traditional footwear, you can of course find safety footwear with ordinary laces. 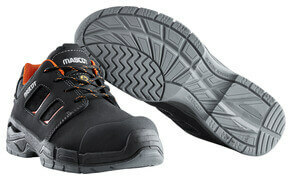 All safety footwear from MASCOT is made from the newest and most innovative materials to ensure the best working experience for you. 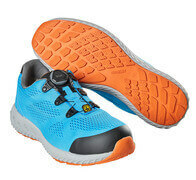 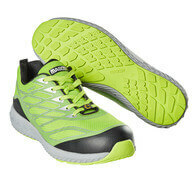 The bottom sole has different functions depending on the environment that you are in. 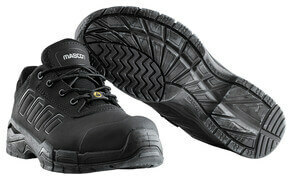 Products are available with both midsole protection, oil and petrol resistance and slip resistant properties. 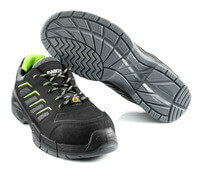 The assortment is wide, and therefore you will easily find a pair of shoes that fit your wishes and needs.